At the Total Rewards & Wellness Conclave’19, Dinkar Ayilavarapu, Partner, Bain & Company, talks about the delicate balance between control and trust in an organization. Before making attempt to understanding what entails value creation, it is important to break down the attitude and motivations of the workforce and identify the ways in which it is currently managed. The famous management expert, Douglas McGregor, proposed Theory X and Theory Y to explain the motivations of the workforce and make people management more effective. While individuals who are a part of the former are driven by objectives, goals, and rewards, those in latter are in the game for growth, development, and satisfaction. Each organization has a mix of both, and the challenge is to create an environment that can adequately inspire both. In this context, it becomes easier to comprehend how organizations can manage their workforce. While managing their employees, organizations can make control or trust the center-stage of their processes and work. On the one extreme organization might attempt to establish a culture of objective-and-process-driven workplace, wherein the focus on protocol and output is heightened and there is little flexibility. On the other, companies might try to cultivate a motivational and inspirational workplace culture that coaches employees to deliver on their purpose. While there are ample examples of successes and failures in both these categories, the complexity of the work that is being undertaken usually determines which side of the spectrum the company lies at. For instance, ensuring success for a proven business idea in a well-established industry might require toeing the line and following the rules. However, if a new product/service is being launched to create a new market or disrupt an existing industry, the number of variables go up, and naturally, so does the need to innovate. In order to scale in a highly complex business environment, a collective effort at innovation and out-of-the-box thinking is usually necessary. The competence, priorities, and the motivation of the team and the leader is the second important constituent of this mix. Finding the right people who can work, and lead effectively is critical. A mismatch between the competence of the leader and the team members will also prove to be detrimental. For example, an innovative leader that is made to work with an unmotivated team will eventually end up focusing on numbers and targets; similarly, a talented and motivated team under a rigid leader will be wasting its potential. Now that we have understood the varied existing workplace motivations and cultures and made an attempt to identify the factors that influence the same, the real question is, how do you inspire a great culture of work? First off, organizations and leaders have to make a conscious decision as to where they want to operate on the spectrum of control and trust. Naturally, the size of the company, the journey, the business objectives, and many other variables will exert tremendous pressure on how controlling and trusting a company can be. But, leading companies have shown that balancing the two, as per the need of the hour, and taking the best qualities from both the styles of management will foster a culture that allows employees to do their best. Thus, allowing employees to undertake purpose-driven innovation while grounding it in real-world values and examples, will create value and pave way for success. It is, as McGregor stated, that a combination of the two theories would be required to achieve the most efficient production. 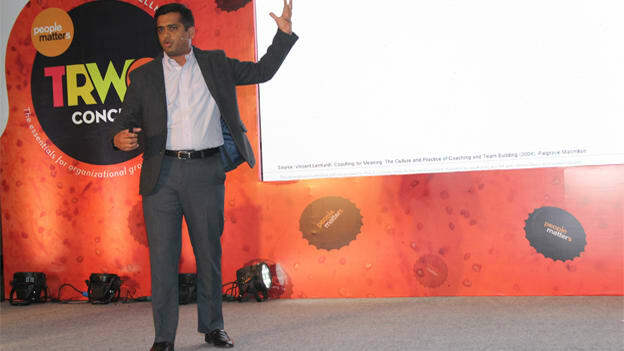 (This article is based on the session ‘Managing value creation – Inspiring a culture of great work’ by Dinkar Ayilavarapu, Partner, Bain & Company, at the Total Rewards & Wellness Conclave’19 on 16th February 2019). Building a culture of transparency - Let’s begin with Compensation!